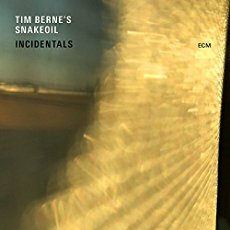 This is the fourth album by Tim Berne’s Snakeoil, with the usual quartet of Oscar Noriega (clarinets), Matt Mitchell (piano, electronics), Ches Smith (drums, percussion), and Berne (alto sax) being augmented by the guitarist Ryan Ferreira, which along with David Torn’s production and additional musical treatments gives the band’s sound an extended palette of additional colours and textures from previous releases. The backbone of the album, and not only because it’s programmed right in the middle of the running order is the piece ‘Sideshow’, a 26-minute long flight of fantasy full of daring, intrigue, and musical delights. The piece starts with Mitchell at the piano, whose playing throughout the album is an absolute wonder, pulling all the other elements together as well as combining a very rhythmic and percussive style, at times reminding me of the British improvising pianist Howard Riley. Starting with a syncopated and circular melody in the left hand, this is quickly joined by a complimentary pattern the pianist plays in his right hand forming a delightful texture that’s not too dissimilar to Conlon Nancarrow’s studies for player piano. 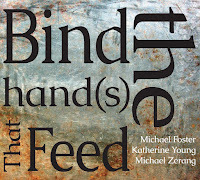 From here the piece moves through a variety of musical ideas including whole band unison melodies, grooves, growling guitar, a section with Noriega’s clarinet and Mitchell’s piano that offers shades of Messiaen’s Quartet for the End of time, atmospheric sounds including carefully placed bowed cymbals, a very free passage for piano, percussion and guitar which develops into a wonderful atonal lead line (again Mitchell’s playing really pins this section down), pointillistic percussive textures, Torn’s screaming guitar sound combined with ceremonial drumming and all this before we even mention Tim Berne’s sax playing. 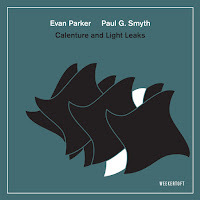 This he thoughtfully adds throughout to enhance the overall composition of the piece often doubling-up with other instruments to form powerful and strong melodic phrases that soar above the complex musical fabric. 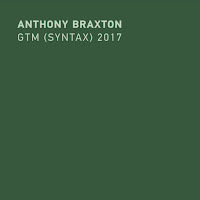 With such a long piece and with the strong variety of ideas contained within, in lesser hands this could have sounded like the musical equivalent of a patchwork quilt, but there is no chance of that here, the linearity is so smooth and fluid that the musical direction flows in an unhindered and silky way. Surprisingly this piece is the other half of ‘Small World In A Small Town’ from the You’ve Been Watching Me album, the two pieces having been combined into one gigantic composition when played live. Fear not those who are wanting to hear Berne’s freewheeling sax playing as there is plenty of this on the rest of the album, such as on ‘Incidentals Contact’, a real collage of sound from the band whilst Berne creates virtuosic lines which twist, intersect and writhe over the top, before joining a groove with the rest of the band and allowing Noriega’s clarinet to bubble-up from out of the resulting mix. Both the wind instruments combine again on ‘Stingray Shuffle’ to imitate the sustained guitar sounds with their Siren-like calls. 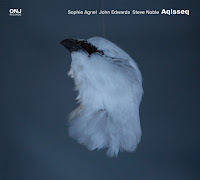 After the atmospheric and restrained chamber music beginning to ‘Hora Feliz’, the album’s opening track, the piece arrives with a chromatic melody played in unison before really opening up with some great free solo improvising with Berne leading the way. As one would expect from an ECM release the production is highly slick, but more than that is the way the music has been put together by Berne as the leader, and also from this group of musicians who have executed the ideas with clarity and precision. 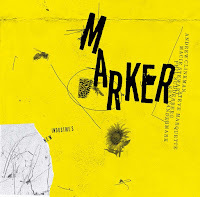 Incidentals provides us with a compositional masterclass in the use of colour and texture, which for me, comes across as a really strong aspect, or dare I say, a focus for the album from a listeners point of view. Unlike the product from which the band derive their name there is no fraudulent substances here, nor any merchandise of dubious quality to be had, instead we find a very well crafted and rich tapestry created from carefully selected auricular elements.